Host John Farrell speaks with Minneapolis City Council Member Jeremy Schroeder. Jeremy and John discuss the city’s plans to combat climate change, increase affordable housing, and make sure Minneapolis is accessible to all residents. They explore how Minneapolis is working together with their utility companies to transition to renewable energy equitably by 2030 through the Clean Energy Partnership. The partnership serves as an alternative to the city taking over the utilities and instead hopes to leverage policies such inclusive financing to make sure folks that haven’t had access to energy efficiency upgrades are able to finance them. John and Jeremy also dive into Minneapolis’ 2040 plan, a comprehensive zoning plan developed by the city every 10 years. The latest rendition of the plan includes a controversial change allowing up to 3 units on a single property. Jeremy explains how this density change will enable more affordable housing to be built and help mitigate historic redlining that has divided communities and kept people of color out of certain neighborhoods. As Minneapolis is planning for a 10% population increase in the coming decade, Jeremy explains the importance of intentionally centering equity in policy discussions. It really is a balance of how do we be a good place for people to invest in and really have people that are building buildings for 100 years. How do we have that and at the same time, make sure that we have our core goals of being a city for everybody and a city that’s going to be thinking about the next generation and our impact on the Earth? John Farrell: Welcome to another episode of the Building Local Power podcast from the Institute for Local Self-Reliance. 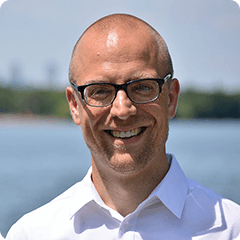 I’m John Farrell, ILSR co-director and this episode I’m talking with Jeremy Schroeder, City Council member from Minneapolis, Minnesota, about the ways cities can exercise their local power to confront climate change. We’ll also get a brief cameo from former ILSR staffer and now City Council Policy Aide, Karlee Weinmann. Jeremy, welcome to the program. Jeremy Schroeder: Hello, thanks for having me. John Farrell: Absolutely, and Karlee, welcome back. John Farrell: Karlee says she’s just going to sit and watch this amazing conversation, but you never know. She may feel an urge to jump back in but at any rate, we have lots of stuff to talk about today. What I’m most excited to talk about is in general, the power of cities, so as the federal government has become less relevant, both with a major government shutdown that is continuing even as we have been planning this podcast episode and also an administration that’s failing to lead and many major economic issues from climate change to economic concentration. Cities have been stepping up. 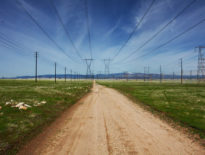 In the energy sector, the challenges for cities overlap as in more than 30 states including Minnesota, the utility companies that provide electricity or gas service have monopolies that are given to them by the state. Cities don’t control the utilities or where their energy comes from and yet, Minneapolis is one of a hundred cities that have, for example, committed to get 100% of its electricity from renewable resources in a decade. Jeremy, I want to start off by just asking you what I hope is a relatively simple question which is why has Minneapolis made this commitment to 100% renewable electricity? Jeremy Schroeder: Simple answer is we have to. We get the same data the federal government does and when you look at that, we have to act now. If we are serious about stopping and reversing climate change, the time to act was a long time ago. Now, we have to take much more immediate action, much more tougher action. We would hope for the bodies of government that have the resources like the federal government, like the state government to be leading but that hasn’t happened, not just in Minnesota but across the nation. You see cities step up with what they have and we’ve had to be pretty creative. We’ve had to really be scrappy about how we do that but it doesn’t supplement for what we would hope to see from the federal government and from our state government. John Farrell: When it comes to achieving renewable energy goals, so the powers of cities vary a lot. We’ve talked before on my energy podcast and on Building Local Power that there are two thousand cities across the country that actually own their own utility company. There’s a few hundred more that are part of, what are called, community choice programs which allows the city to choose their energy supplier. What power does Minneapolis have in order to achieve this 100% renewable electricity goal that is urgent? John Farrell: I was wondering if you could give an example of a way in which this Clean Energy Partnership is trying to leverage both the power of the utility companies over providing the energy and the power of the city. Is there some policy that’s come about as part of this partnership? Are there interesting ways that they have been working together? Jeremy Schroeder: I think the jury’s still out on whether this is the best and most effective way to do that. I sit on the Clean Energy Partnership with two other city council members and we’ve been there a year, so when you ask about specific policy outcomes like that, I would be very skeptical about. I mean, we have plans. We have some policies that we’re hopeful of. An example of one would be inclusive financing. It’s a policy that if we can word that everyone including the utilities is committed to working towards but again, that’s also in its infancy. If we’re able to have inclusive financing commonly called kind of a “pay as you save” model … I’m in the room with two experts, so if I pause a little, I’ve been waiting for you two to jump in but something like that is going to be able to let folks that don’t have access to energy efficiency, we call them “upgrades” but I mean, as time goes on, these are needed things for their household. They’re going to have access and if the utilities can help us leverage that as well as look out for their consumers, I think the Clean Energy Partnership would be a benefit. John Farrell: It was even before you took office just last year, but the Clean Energy Partnership really began about five years ago and I was intimately involved in it for people who want to hear more, you can go to our Local Energy Rules podcast. We’ve done a couple of things. I believe Karlee was the interviewer in one of those interviewing me about the work that took part in leading up to the partnership and it was kind of an alternative to the city actually going through on our utility takeover. Of these two thousand cities that have municipally utilities, most of them were formed 100 years ago and were the first utility to occupy that space but a few of them are the result of cities actually taking over using their power of eminent domain to basically buy out the utility company and you already kind of alluded to this, there’s some promise out there for this thing to develop. It’s already been going on for five years and I’m curious if you or maybe if other city council members that have been around a little longer following this are feeling like you’re getting near the break up point or if you feel like you still want to keep following through and seeing what can come of it. Jeremy Schroeder: I think to start on answering that question, it’s really about thinking about the residents of Minneapolis and what’s going to be better for them. We have an outcome we want to get to and that can be interchangeable with different players and different ways of getting there. I think right now we are really trying to weigh how do we get there and the way that’s going to be most cost effective, most inclusive and quickest, how will we have that. I think the promise of the Clean Energy Partnership is still there, but as you pointed out, it didn’t start with me. It started many years ago and so the clock is ticking. 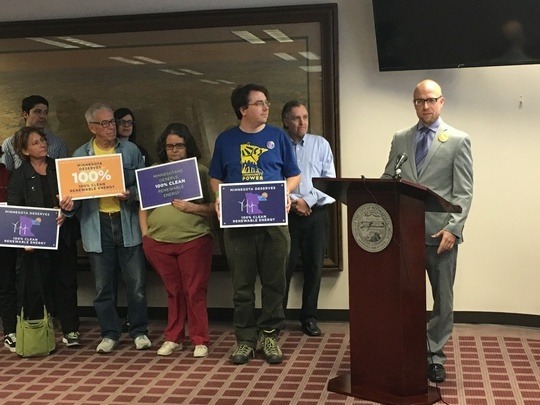 We are watching the utilities pretty closely and pushing them because I think when the Clean Energy Partnership was started, it had the backing of all Minneapolis residents and I think that’s the power that the city brings forward to talk in that partnership. Another part of it is the residents are holding us accountable. We need to make this city a sustainable city. We need to see outcomes and that’s not just on the city and its enterprise but on the utilities as well. John Farrell: I’m really curious. It’s funny what you say about this notion of timing, and I know I should have pressed the question but for some context for folks too, you’ve got Boulder, Colorado, which has the same electric utility, Xcel Energy although a different division from back in the days when utilities were largely confined to operating within particular states as opposed to these multi-state conglomerates, and they’ve been pretty much actively pursuing municipalization at takeover since about 2011. It’s something that I’ve covered in some of our writing and we’ve talked with folks from Boulder for some of our podcasts and they’re still not there yet. In fact, I think they’re very close to issuing the final order for the takeover of the utility but all this time has been essentially just building up to, “Are we actually going to take over?” Meanwhile, the utility and the city haven’t really been able to work together very effectively. I think I share your optimism to some degree about this partnership being able to be a quicker way as you say but there is a lot of urgency, obviously, in terms of what we’re doing. I’d be remiss if I didn’t address another major policy change that the city has recently adopted, so it’s not just an energy of course that cities are doing interesting things but across a whole range of stuff, so this is around the Minneapolis 2040 plan, or the new city comprehensive plan. I’m hoping you can start by just explaining for people like me who are not experts in things outside of the energy sector, what is a comprehensive plan? Then I have a few other things that we’d like to know about. What makes Minneapolis … Why is Minneapolis all of the sudden getting in the news for this comprehensive plan? Jeremy Schroeder: Sure. Well, let me start with a little background though. A comprehensive plan, Minneapolis is required to submit our basically land use … Kind of started as a land use plan to the Met Council, so all of the cities in the Met Council region must do a plan, so as Minneapolis was doing a plan, Saint Paul was doing a plan, Richfield was doing a plan and it happens every 10 years. We’ve been doing it for quite some time now. This isn’t the first comprehensive plan and that kind of leads into some of the other questions but to go a little bit further of what it does is it really talks about kind of the high level of what kind of growth … Looking at our population projections, how much growth are we having? Where are you going to put new housing? Where are you going to allow for transportation? Where are you going to allow … Make sure if affordable, the housing is an issue for you, where would you put that, where would you put workforce housing? All those questions are there and some of it, when you think about Met Council, they want to make sure you’re not putting your sewage treatment plant on the city line next to another municipality and vice versa. I think it’s how do you play all well together is kind of one part of it and why Minneapolis was getting in the news is we took that a step further and we took that pretty seriously on a couple different fronts. One, zoning has been used historically as a way of redlining, as a way of dividing communities and a way of dividing the equitable growth of a city. We have a 2040 plan, it’s important to think about how we grow, how that wealth is distributed, how all the people that are contributing to this great city get their share of that and get some benefit. How can we do that? One part was really making sure that there are more housing options throughout all the city. I mean, that’s something that we got, I think, a lot of local news. There’s a pushback as well as cheers for right now. You can go up to three units on a single lot that’s staying within the same setbacks to get a little bit more in the weeds. John Farrell: Let’s go on those weeds in a second but I just want to take a step back in terms of this comprehensive plan and understand … We have this metropolitan government here in the Twin Cities area. We have to do these plans to make sure that we’re kind of, as you said, growing with our neighbors. I thought the sewage plant is an excellent example, right? Wouldn’t it be convenient for Minneapolis to stick it right on the border with Saint Paul and let them share in the unpleasantness, of course ignoring the fact the rivers are a border for a moment? We’re doing these plans every 10 years? Are they always forecasting out 20 years? Is that kind of the way it goes? It’s a 20 year plan every 10 years? Jeremy Schroeder: It is, but I think that’s some of the trick to it. I mean, between 2000 and 2010, we saw minimal, double digit, that’s it for population growth and we’re projecting 37 thousand that will be coming between now and 2040. The plans look completely different, so how do you put that all in there and then I think one thing that is not in the plan but is in the planning is that this is all dependent on the market. There’s no funding, there’s no immediate plans for the comprehensive plan. There’s no developers or industry we’ve been working with that went into the plan. What it really says is if you want to know what … You’re looking to purchasing property or you want to develop your own land, this is what would be possible. One of the things I would have liked to see more in the 2040 plan is really seeing it as a visioning document of what do we want to be as a community. Seeing that the type of growth we’re projecting is disruptive no matter where it’s going to be in the city, so how do we address kind of the ratio inequities that we still live with as we look at homeowner and income disparities throughout the city, how when we look at which parts of the city have access to transportation and what type of housing is available on every area. If we really are about equity and access for all, what does that look like? I think some of that came out in the plan but for myself, the city did hundreds of meetings to form this document. I, myself, have been at over a dozen of them and I think there’s a lot of discussion of what people didn’t want and I would have liked a little more discussion about what we did want. John Farrell: One of the things I find so interesting about this is you’re talking about the population growth, it sort of being disruptive. We’re adding something like 10% to the city’s population and yet, in the 1950s, Minneapolis had half a million people and another hundred thousand more than its got now and so in some ways, we’re sort of moving back, although obviously the makeup of that population would be very different. That was after the baby boom, it was before a lot of white flight to the suburbs. I remember in my first South Minneapolis neighborhood, which I think was also in your ward if I’m not mistaken, but I remember a woman who lived across the street who raised three kids essentially in the basement where they curtained off different bedrooms and I have that in quotes. Obviously, the style and the expectations of families were different. Let’s just dive right into that kind of big meaty thing in the comprehensive plan. Obviously, there’s a lot of pieces to it but the thing that got all the attention was this notion of what can you build on a particular piece of property, so could you explain a little bit about how that changed? It probably will start to explain for people when you mention lots of folks came out to say what they didn’t want that this was in the cross hairs. Jeremy Schroeder: Certainly. I had mentioned that three units could be on a property, so right now, you can build a single family home and that home could be quite large frankly and what the new comprehensive plan would allow three units, same built form, so you would be building what you could build today under the former zoning code for a single family house is just for three units. I think as you talked about, we’re talking about this huge growth like it’s something we haven’t had before and we’re talking about Minneapolis growing to what it used to be and so that really gets to the problem the city was looking at. How do you encourage more people live in that same area? We have my own single family home where we live, we had a much bigger family living there and you see that throughout the city. In our area around, we have some bigger homes that could be easily broken up into duplexes. We actually have some rather small duplexes, World War One time that are already in the neighborhoods. It was really more about allowing more options than prohibiting anything. I think that got lost in the discussion too. It doesn’t prohibit single family homes. If someone wants to build a single family home, that’s there, but what it also does, is expand what’s possible for seniors, for people on a fixed income, for new families, like being able to have those options that we don’t have. One other thing I would add is between 2010 and 2016, Minneapolis had tremendous growth, so we are known for our affordability and for our housing options throughout the city that you had that choice. When we saw that growth, the affordable housing worked. People found it and people are there. In our neck of the woods in South Minneapolis, I would say the affordable housing is working, but the issue is, we’re just out of it. John Farrell: Right. I find this such an interesting conversation because we’ve already had a lot of redevelopment, a lot of people interested in moving into urban areas. I see in our neighborhood, the area you represent, and where I live. We already see a lot of change happening. We see people coming in. They decide that the 1,500 square foot home that was built in the ’40s or ’50s is too small for them, for their single family, and they build a 2,500 square foot home. I think one of the things, as you said, that got lost in the mix in terms of the changes, the size of the structure isn’t really what was at issue because people can already build a giant home on the property as long as they respect the setback and the height limitations and whatnot, so we’re really just talking about subdividing what could go on the property. Right? John Farrell: We’re just talking about that piece. Then, again, you have this notion of, oh, well somehow something really big is changing and yet, like we’re talking about forecasting a population 20 years from now that’s still smaller than Minneapolis was 60 or 70 years ago. They’ll be fewer people in the city and all we’re really saying is why don’t we subdivide our lots a little bit more so that we can allow them to live in different configurations than they did before. Does that pretty much capture what we’re talking about? Jeremy Schroeder: That’s part. I also want to stress that the 2040 plan like that is really the 10,000 foot high level what will be happening in the next couple of years is the zoning change that really sets what that’s going to look like in real life. As someone wants to build a single family home or build a duplex, it will be talking about the setbacks and other things. People were really concerned about what could happen. I think that a lot of folks really felt that we were going to see lots being combined that we would see bigger homes. One of the issues, I would say, was that early on, people started talking about … The earlier proposal was for four units. They talked about it as a four-plex. What that really brings to mind, even to myself, like you think about those apartment buildings that are out to the property lines that are not as thoughtful about permeable surfaces and neighbors and all of those things. That’s what the image really was of. I think that people were worried about losing their community and that’s serious. I mean, I think that the plans very different then their fear, but I think that the city needs to address what they’re afraid and be able to talk to how we are able to do our best to make all these goals possible. Jeremy Schroeder: Aging in place. John Farrell: Aging in place. Thank you. Where people maybe want to be able to stay in the same area of their community even as they are maybe buying their first home as a couple, then they’re having children, then their children have moved out, but they still want to stay in their community. But there’s also a lot of people who live in Minneapolis for whom they have always been prohibited by policy in a lot of ways from being able to have the flexibility to live in different places, to be part of communities in different places. How does this help address some of those issues about for people of color, for example, being able to find affordable places across the city? 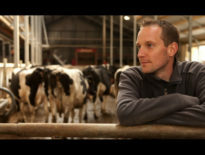 Jeremy Schroeder: First, when you talk about it being prohibited by policy, I think that’s part of the misconception. I’ve just found as the city’s talked about redlining, it seems like people talk about it as it would be illegal for a person of color to be moving in these neighborhoods, and that’s not it. It was an economic impossibility. Our history has shameful examples of when we had families of color move down in neighborhoods around us and just the horror of what they had endure just to be able to have the right that every person should to be able to live where they want and where their means allow. That just wasn’t possible. Where the 2040, I wouldn’t say that we’ve corrected that, but I would say we’ve stopped the needle. We have been able to, with the plan, look at our frankly shameful history and say, “You’re no longer going to be able to tell where people of a certain wealth are.” It’s zoned by something that goes throughout the whole city and tries as best as it can, to be equitable about it. So by providing more options throughout the city, we’re hoping that we’ll be able to see more development that will allow more affordable homes, more homes that would fit the character. I mean, we haven’t really talked really about the energy efficiency and resiliency and what the plan would do for that, but it’s the mixed communities are going to be the most healthy, those that have diversity of folks on income and background that are going to be able to be resilient and be able to thrive as their own small community. John Farrell: I appreciate you correcting on this notion about policy prohibitions because of course, the redlining wasn’t something that the city didn’t write into its previous comprehensive plan or into its zoning that people of color live here and white folks live here. It was obviously an interaction on the market where banks would say, “We’re not going to loan to people of color if they move into these areas.” It was also an economic pressure about, for example, the size of the lot and the size of the property, making it economically infeasible for folks who weren’t wealthy or to live in certain neighborhoods. How might a neighborhood … How does this plan address that? So, if I’m in a neighborhood like I live in, where it is a lot of single family homes right now, and fairly large lots for an urban area, anyway, how might that change over time? It’s going to change slowly because of course, most people aren’t going to change their property while they live there. It’s going to change when they sell. Previously, people would buy a small house and tear it down and build a bigger house. So, that was the kind of change we saw in neighborhoods. What’s going to happen now that’s going to be different that helps to address that economic barrier that was there for folks of being able to, for example, and go to Hale Elementary School, where right now, it feels like you need to have $400,000 ready to buy a house to go to that school. We want to make sure that people have access of all means. Jeremy Schroeder: Yep. I would add you’d have to be pretty quick if you’re trying to get something in our neighborhood too. Jeremy Schroeder: I would say the comprehensive plan, the 2040 plan, is more of a framework. I think when you’re fighting against racial inequity as well as climate change, and affordable housing, it’s about intention. The density and moving more people is not necessarily on its face going to fix those problems, but what will change is being able to have something like an inclusionary zoning policy. Something that I’ve been working on with the council president to make sure that when developers are developing, they are held accountable to having some affordable housing. My goal is something that would be throughout the city and make sure that every neighborhood is approached equitably so that when people are looking at a home, regardless of their background, they will have some options available. John Farrell: So, we’re going to take a short break and when we come back, we’re going to dive into it a little bit more about the comprehensive plan in Minneapolis, but then also talk a little bit more about how the city has been able to stand up to some of the incumbent power holders in the different sectors that it’s dealing with, especially back to this question of energy. Thank you so much for listening to this episode of Building Local Power with guest Jeremy Schroeder, City Council member, from Minneapolis, Minnesota. This is the part of the podcast where you usually hear something about a mattress company or a meal delivery service, but the Institute for Local Self Reliance is a national organization that supports local economies, so we don’t accept national advertising. Instead, please consider making a donation to ILSR. Not only does your support underwrite this podcast, but it also helps us produce all of the resources, from reports, to podcasts, to interactive maps, we make available for free, on our website. Please take a minute and go to ILSR.org/donate. Any amount is welcome and sincerely appreciated. That’s ILSR.org/donate. We also value your reviews on Stitcher, iTunes, or wherever you get your podcasts. Thank you so much. Now, back to our discussion of cities and climate with council member, Jeremy Schroeder. So, we’re back and I wanted to talk a little bit, I mean, the comprehensive plan is such an interesting thing, but I want to talk a little bit about some of the news that I was reading about it. Because as a resident of Minneapolis, like you said, it was in the local news all over the place. The discussions were going on. They were lawn signs going up saying either people are saying my house is going to be bulldozed. There are other signs saying, we’re all happy to have more neighbors, but then I started, after the policy passed, reading stories in national publications. Seeing them linked to on Twitter or other social media, people were like, Minneapolis is really done something about affordable housing in a way that other communities haven’t. You’ve addressed this notion. The issue is essentially that not everybody needs a single family home and in a lot of our neighborhoods, there hasn’t been accessibility to the kind of housing that people need, or that we’ve essentially used it up in the growth that we’ve already seen. So, I guess what I’m curious about is how much have we actually accomplished. We’ve got this comprehensive plan. How much does that reflect if I’m a developer? Let’s just say, I’m a homeowner and I decide, you know what? I’m going to buy a house somewhere else. Like many people, I might want to rent out my current property but instead of just renting out this single family home I’ve got, I’d like to follow this new policy, build a three unit building there that could be some affordable housing, contribute to this goal of both addressing climate change by a little more density. I’m addressing affordable housing. Can I just go do that now? Is it that easy? Can I build some more properties and go find a different house? Jeremy Schroeder: Well, I wouldn’t say it’s that, that easy. I think I want to stress that nothing changed in the process. The comprehensive plan is one thing that the city looks at when a development is proposed. So any development is still going to be going through the city. It’ll look at the city planners. Depending on the height and what change would be at that site. It may need to go through the planning commission and maybe city council itself. All that stays the same. As things are … I talked a little bit about we have the comprehensive plan, but the next part is the zoning change. That’s going to be the part that you’ll be able to see what else is possible on the property. The comprehensive plan is really the beginning. As I talk to my constituents and others concerned about it, just saying, you’re right to push if you have concerns, because this really sets everything else up. The comprehensive plan has these high level goals and the zoning really flows from that. So while we still have to get into the specifics, the specifics are written from the comprehensive plan. The goal of the zoning then that’s going to follow this is going to have to guide. The idea is going to be to establish some guidelines that you don’t have a lot of developments coming before the city council. Right? You’re going to be trying to simplify this process so people understand, “Okay, if I meet X, Y, and Z, is there going to be like a cookie cutter standard for it?” I know it’s not the right term. I’m trying to think about is this going to become easier for folks to follow than feeling like, I’m going to end up in front of my local neighborhood board with people talking about it. It doesn’t fit the character of the neighborhood because there’s always going to be two people like that on the neighborhood council, maybe five people. There’s a lot of them. I keep thinking about, I used to serve on a neighborhood council in one of the wealthier areas of Minneapolis that shall remain nameless, and there were proposals, even for just the mother-in-law unit on the garage. Gosh, there were an awful lot of retired people that came out to say that nothing that changed the neighborhood at all was in the character of the neighborhood. That’s what I’m curious about is will that get addressed as you go through the zoning process and whatnot so that stuff can actually happen or are we going to see … Are you, as a city councilman, going to spend the rest of your term reviewing development applications for triplexes? Jeremy Schroeder: No, our whole goal is more transparency. You talked about ease of the process and that’s part of it, but I think the overall goal is to make sure that we’re transparent, that people understand what could happen and what is happening throughout the process. I think the rest would also be a balancing act. Like, there are things that are important to the city. Like one, combating climate change. Making more affordable, making it accessible, the city accessible to everybody. These are goals of the city. So if there is a way, how do we make sure that we have enough process to assure that the city goals are being reflected in the development that’s happening? At the same time, hold developers and others accountable to meeting those goals. So, while the 2040 plan ideally, it is the zoning that comes after it. It’s easy for people to do developments. It’s easy to add on and do things that are going to fit with what the city is going toward in its goals as well as what fits in the neighborhood, but it’s something. I think it’s too early to say, like where’s that balance, because that’s rather tough. I can give you an example through inclusionary zoning. It’s something that the city has tried to make it easier for a lot of developments as in the recent years, like a lot of things have been streamlined and in a pretty good way to help the development in some of the areas we wanted more economic development to happen, but it is something that when we’ve given those things away, these are things other cities have done. I’ve been able to offer as incentives and one example is parking. We really reduced, before I came on the council, reduced a lot of the parking, and that’s helped a lot of developments become frankly, a little more affordable, in scope, but also be something that a developer would push for. If they were a little bit more pushing back on the ability to do more affordable units, that’s something the city, other cities, have leveraged to say, “Well, how about you do less parking and you can do this many more units?” That’s something we don’t have. So, it really is a balance of how do we be a good place for people to invest in and really have people that are building buildings for 100 years. How do we have that and at the same time, make sure that we have our core goals of being a city for everybody and a city that’s going to be thinking about the next generation and our impact on the Earth? John Farrell: I’m interested in this. Jeremy Schroeder: There’s a lot out there. John Farrell: I follow all these people on Twitter and so I feel like I hear all sorts of interesting things and I’m never sure how to process it, but really curious about this issue on parking. Now, you were just saying the city doesn’t have that kind of leverage that other cities have about maybe negotiating over housing units versus parking. Is that because …I think I remember that in the plan you essentially said, there are no parking minimums. There’s no requirements to include parking. So, is that what you mean when you don’t have that leverage? Jeremy Schroeder: That’s correct. Parking’s expensive. In a lot of the areas that you see development, like the downtowns and the uptowns like we already have, there’s not as much parking, but it also … I think one thing that gets lost in that discussion is there’s a market cost for that. Like developers, when you see a development go up, they plan for a certain amount of parking that they’re going to need just to get people to buy, either buy the units or rent the units. If that’s not possible, then they add that in. But that said, there have historically been an over, other cities have asked for a lot more parking because the fear is always the people will move in and this will disrupt the community. It’s really that balance and in recent years, Minneapolis has moved away from that standard where other cities have kept a much higher standard for it and then they’ve been able to bargain down for other goals. John Farrell: I’m also curious too, in terms of climate change, in terms of some of the other goals, that you talk about accessibility a lot. I’m assuming that transportation is part of that. The kinds of properties that we’re talking about where we’re getting more people on one space. We are getting rid of the parking requirements that would normally go with the property. We seem to be moving toward a way that a lot of people are living now. Like, they’re graduating from colleges. They’re moving to an urban area. They’re maybe not owning a car. How does this fit in with this whole notion of mobility, which is something that a lot of cities are focusing on and how is Minneapolis able to make sure that if people don’t have access to a parking spot, they’re still going to be able to get their way to a job, for example. Jeremy Schroeder: Well, some of that comes in out in the planning development. As a development is planned, accessibility to transportation, to multi-modal transportation is considered. It is something that if you’re on a transit corridor, less parking’s going to be required. But, as you talk about the comprehensive plan and as we think about future in the city, it’s taking on a much different thing. Like transportation’s changing so rapidly right now. What we are seeing is that the things that millennials and like new college graduates are asking for are the same things that many seniors are asking for, and it’s something that makes a lot of people want in their community. Some of that is not reflected in many Minneapolis communities. So, how do we have that growth be there? How do we really have that relationship with the community to know what they need? I know around us, people would love a coffee shop, south of the creek, and it’s just a where would it go in our current form? If there was development, how would we have a space for that? It’s really on one hand, thinking about the development in that nuts-and-bolts, on paper, way, and also just doing the groundwork of talking to people, talking to neighbors, and really knowing what they would want if things were to change. John Farrell: Right. I feel like we keep going to restaurants over by Kowalski’s. If we could just maybe get a coffee shop there instead? Yeah. Can you work on that? Jeremy Schroeder: Yeah. I’ll put that on the list. John Farrell: I wanted to wrap up with taking this back to the big picture. Obviously, in the energy fields where I’m most familiar, but also I think other sectors of the economy, there’s some pretty powerful incumbent players. You alluded in our casual conversation over break that you’ve got a lot of new people on city council and you’re starting to get familiar with the fact that we maybe have a little more power to direct where the city’s going to be for its future than we thought of before. How has Minneapolis been able to stand up to or even co-op some of these big players and what advice do you have for other cities in terms of them building their own sense of power and agency over some of these really knotty questions, whether it’s mobility or affordable housing or energy? Jeremy Schroeder: I think it’d be two things. Like first, my advice would just be to really concentrate on transformative change. The second one is really bring all the intersections of all these problems together. One thing that I think I’m struck by is just the transformative power, like the need for really transforming these systems. An example we talked about over the break was we’ve seen with my new colleagues, just an increase of awareness of the need for affordable housing and a push from city council members when developments coming up for having that. Even seeing some developers come and say, “Well, we’ll do this much, a certain percentage,” and a council member going, “Well, you could do better than that,” and the developers come back with it. I celebrate that as a win, but also want to take a pause and make sure that other cities learn that’s more than that. Like, we still haven’t fixed the system. We still don’t require affordable housing. Like, I mean, that’s something that an inclusionary zoning policy, it’s not going to matter who’s in those seats. The city itself will be just, and think about, how everyone can live here. That level of change we haven’t hit yet and so that’s where something I work on, and my colleagues work on, but just know that work isn’t done. The other thing for cities is really to bring together all these problems. As we think desperately about how we are going to combat a problem as big as climate change, while looking at the affordability crisis that we have in Minneapolis as well as other cities, as well as transportation and its impact on all of these. How do we bring that altogether? That’s something where there’s so much going on in the energy sector, not just how energy is generated, but also how buildings are built. How do we live? How is transportation structured? All these things have ways that can be more sustainable and more resilient to climate change. In the end, when it comes down to it, cheaper. We need to think long term and not just the point where we are now, looking towards what the change will look like, but look toward what the outcome will look like and look at, after a capital investment, are we going to be operating at a much cheaper rate? I mean, we’ve seen some of that just with the change to LEDs light bulbs, to put it on a really small scale, but when you think about all the things from owning two cars to how our food systems operate, all these things, while they seem very daunting, that amount of change that would happen. When you look five to ten years down the road, is that the world we want to be living in? Is that the way we want to explain the world to our kids? It’s a struggle and it’s tough, but that’s really where we have to go. John Farrell: I can pick on the energy sector in particular, but I’m just curious, with affordable housing, and I’m sure that developers are pretty powerful folks. I mean, some of these are really big companies that do a lot of property development. How do you, as a city council member, think about how to deal with that? You’re in some ways taking on their interest, right? They have a particular way that they’re used to doing developments. Maybe they never cared about affordable housing. Maybe they like to do a lot of parking. Do you feel like there’s any backlash? Do you feel like there’s any threat to a city in trying to tackle some of these thorny issues in a systemic way given that some of these are pretty powerful entrenched interests. Jeremy Schroeder: Absolutely. I mean, I think that’s what held up change. I think what’s giving me hope is it’s not just the size of the problem and how long it’s been there, like how entrenched the interests are, but they’re seeing the same world we all are. We finally have some cold weather here in January, but that wasn’t the case the last couple of weeks. They know something’s wrong and things have to change. So when you’re dealing with a developer or others, they hear the same stories we do. I’ll also say that it’s not just me. It is every single person I represent. They have had their thoughts about what it is to succeed in Minneapolis shaken. It used to be you get your kids to the U. They get a good job. You’ve done your job as a parent, but now, they’ve got that good job and they still can’t find housing. They still have to think about a really long commute in a place that’s far away from family. It’s something that’s going against our values and when people have that level of faith shaken, they’re on your side too. That’s really transcending everything from housing developers to utility companies. It’s something that every elected official right now is being held to a different level of accountability and I think we’re better for it. Jeremy Schroeder: I’m going to resist the urge, John. John Farrell: So, I forgot to ask you about this ahead of time, so take your time if you need to, to answer this, but we often end this episode by asking for a reading recommendation from our guests, something that you’ve been reading. If you read books, if you have time for that as a parent, or something else that you’ve come across that you think our listeners might enjoy coming across as well. Jeremy Schroeder: I don’t remember the author, but Food in the City, is the last one I’ve read. One part, I’ve been struck by that’s been really missing from our answers around energy sustainability and climate resiliency is our food networks. How do we, as a city, get our food, grow our food, and our part of that, cycle? It really talks about what other cities across the world are doing. I just found it fascinating to see what’s possible, to really look at the really scary truth that we’re three days from our grocery stores being empty in any major city you go to. The thought of why I have a garden that barely gets me a couple of salads a summer, so it’s something that we have to think very carefully. We have really become accustomed to how we’re living and we have to think very seriously about what our options are. John Farrell: It’s a little bleak, Jeremy. I’m just going to say that. I’m a dark person, if the truth comes out. Jeremy Schroeder, 2021, he’s running on everyone needs rutabagas in their backyard. Carly, do you have a reading recommendation? Karlee Weinmann: I’ve been reading a really great book that was recommended to me by another city council aide actually called The Reactionary Mind by Corey Robin. It dissects conservatism, all the way back to the French Revolution, to help us understand how arguments are crafted. It carries these theories through to our age of Donald Trump. It’s really an instructive tool in understanding the basis for a lot of the political arguments that I think we’re living through today and engaging in today. I think it’s really deepened my understanding of what folks who may not agree with me are thinking and why they’re thinking it. I read it maybe a little but smugly as a way to craft my own arguments better in those situations, but I think what it’s really given me instead is this deeper understanding of where conflicts exist in our current systems and equipped me with some tools to think more creatively about ways to overcome them instead of just smashing through them with new and better arguments. That’s my grand hope for it anyway, and I guess it takes two to tango, so hopefully, we can come together with those we disagree with in a constructive way. John Farrell: Karlee, last question for you. Is it more fun working for the City of Minneapolis or for ILSR? Karlee Weinmann: I would say I get the best of both worlds right now, because I get to work for the City, which I love, and John, you’re a constituent, so you’re still my boss. John Farrell: Very nice. Very smoothly done. Karlee Weinmann: I’m in politics now. John Farrell: Yeah. Well, Karlee and Jeremy, Jeremy, thank you so much for taking the time to talk with me about what work with the City of Minneapolis has been up to. I obviously will be following it as a constituent in terms of the work that’s going on, but it’s exciting to be able to share what’s going on in Minneapolis with folks across the country, who are really interested in how to wrestle with these knotty issues, so thank you for your leadership. Jeremy Schroeder: Of course. Any time, and thanks again, for having the show. You can also find out more about the Minneapolis Clean Energy Partnership at ILSR.org/energy. While you’re at our website, you can also find more than 60 past episodes of the Building Lower Power podcast and show us some love with a contribution to help cover the cost of producing this podcast. You can also help us out by rating this podcast and sharing it with your friends on iTunes or wherever you find your podcasts. This show is produced by Lisa Gonzalez and Hibba Meraay. Our theme music is Funk Interlude by Dysfunctional. Please join us next time for another episode of Building Lower Power.